In 2014 the actual temperature on Jan. 6 & 7 was between -11 and -14 for 12 hours. We had no peach blossoms and hence no peaches that year. So far we were not below -10 here at the orchard in Shelby Co., Indiana. 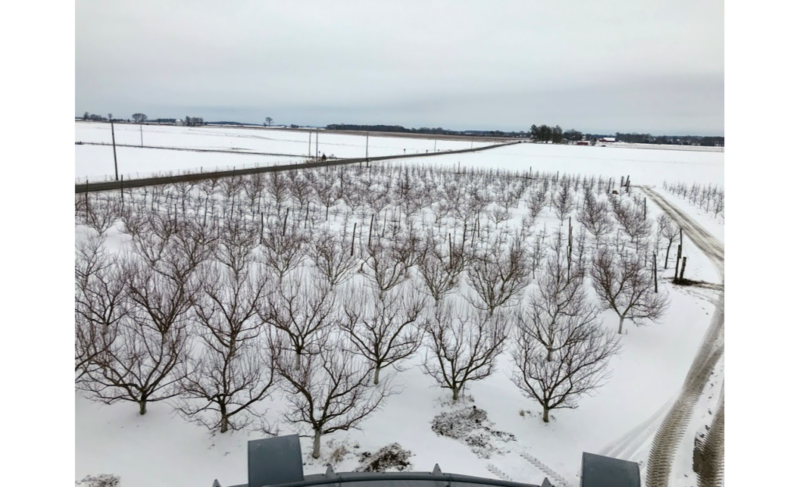 But we are not assured of a crop of peaches yet – we could get more cold weather, and then when it starts to warm up, the peach buds start to swell and as they swell the critical temperature before you have damage gets higher. Apples are more tolerant of the cold weather, but there can be damage to them also. Copyright © 2019 Harker Family Farms & Orchard. Powered by WordPress and Stargazer.